This is a quote taken from Ian Fleming’s 1979 film Moonraker, and if you’d like to see the actual scene you can watch it here (I promise it’s pretty sassy). As far back as I can remember, I have always been a James Bond fan. I loved watching the Bond movies as a kid, and was drawn to how exciting and formulaic the movies were. Bond was always attractive, always manage to survive seemingly impossible scenarios, and would always have the best cars, gadgets, and yes, women. Growing up I didn’t really mind how women were portrayed in the Bond movies. Their lack of depth and speaking parts never bothered me, but then again it was never too far off the Disney movies I’d graduated from in the 90s. While I loved watching movies like The Little Mermaid, Cinderella, and Sleeping Beauty, similar to the Bond girls, most of these standard Disney princesses lacked complex personalities and were almost always rescued by their prince charmings. This is not to say that all Disney princesses or Bond girls are two dimensional, you only need to watch Frozen or Casino Royale to know that is not the case, but it did mean that seeing a fiesty and strong Bond girl, such as Holly Goodhead above, was a wonderful thing for me as a teen. This also means that when I had the chance to teach a British history lesson at Byåsen, I leapt at the opportunity to teach my students about James Bond and its relationship to the feminist movement in Britain. First things first, I was actually shocked by by how difficult it was to prepare for this lesson. Very early on in my lesson planning I realized that there are pretty much no good resources available on the feminist movement in Britain. While some websites do a great overview of women’s suffrage, I have yet to see a well written article that covers feminism’s historical presence in Britain. It was saddening to realize that the history of the women’s movement in Britain is so poorly documented. Trust me, even the YouTube videos on it were soporific. Around the start of the Industrial Revolution (1760s) working class women began to work full time. This gave women their first opportunities to regularly meet and discuss political and social issues. While women had been meeting informally since the 18th century, it isn’t until 1866 that organized women’s suffrage starts to appear. At this point in time women’s suffrage had not gained much traction with the public, so when MP John Stuart Mill proposed an amendment to give women the same voting rights as men in 1867, it was voted down 194 to 73 in Parliament. The first major suffragist organization, the National Union of Women’s Suffrage Societies (NUWSS),was organized in 1897 under Milicent Fawcett. The NUWSS was committed to using peaceful tactics, such as non-violent demonstrations. Originally it only wanted the vote for middle class property-owning women, but it quickly realized that it needed to expand to include the vote for working class women. When Britain decided to enter World War I, women’s groups decided to suspend their suffrage activities (which also helped make them seem more reasonable). Although women did not actively campaign for suffrage, that does not mean that they were not a driving force in Britain’s domestic landscape. Because so many men were sent to the front, women were called upon to take up jobs that were previously dominated by men. While this may seem like a big step for women, it was mostly a change for middle and upper class women (working class women had been working since the 19th century). If you watch Downton Abbey, this is why Sybil’s decision to become a nurse was considered a big deal. After World War I, women’s contributions to the war could not be ignored and in 1918 the Representation of the People Act was passed. This gave women over the age of 30 the right to vote. In contrast to this, men could vote at the age of 21. You might be wondering why there was a nine year difference in voting ages, and the answer is that it would ensure that men were still the majority vote. 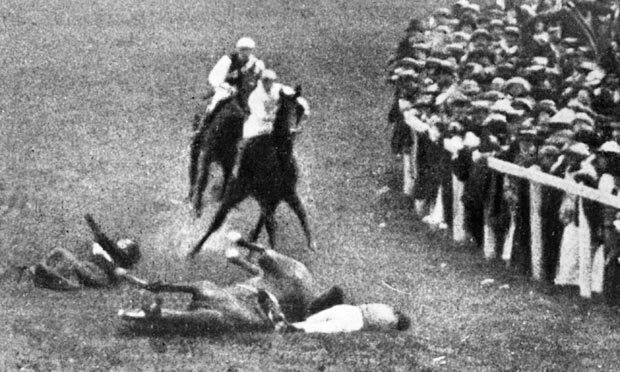 Because so many men had been killed during World War I, the voting difference was made to guarantee that men would not be overrun by the women’s vote. Things do improve, and in 1928 women are finally given the same voting rights as men in the Equal Franchise Act of 1928. This concludes what is called first wave feminism, or women’s campaign for equal voting rights. After women won equal voting rights, women’s membership in feminist groups declined. Overall not too much happens, but in 1944 the Education Act is passed and establishes free education for all primary and secondary students, male and female. However, there is a catch. Once students reached age 11 many schools installed quotas on the number of female students that they would accept. During this time period studies showed that female students frequently outperformed their male counterparts and schools did not want to be overrun with girls. These quotas remained legal until the 1980s. The Swinging Sixties helped welcome in the sexual revolution. The Pill arrived in Britain in 1961, but it wasn’t widely available to all women until 1974. The 60s also see the passage of the 1967 Abortion Act. One of the most important events in the 1960s was the 1968 Ford plant strike. Women who worked at Ford’s Dagenham factory asked their managers to raise their wages to that of some of their male counterparts. The managers turned them down and the women went on strike until their wages were raised. The strike helped highlight workplace inequality and The Observer noted that “at least four million women [were] used virtually as slave labour.” Documents also show us that half of Britain’s working women were earning less than five shillings an hour (which pretty much meant they were working for pennies/pence). The Ford strike helped galvanize efforts to grant women equal pay, and in 1970 the Equal Pay Act was passed. In reality, the law didn’t do much to actually help women, and their wages were still 54.8% of men’s. Women struggled to get paid the same as men and also struggled to get equal treatment from banks. If a woman wanted to get higher credit from a bank she would often need a signature from her father or husband. In 1970 the Miss World was famously protested against, mostly by the Women’s Liberation Movement. At the time, Miss World was an event that was widely watched in Britain and protesters interrupted proceedings with whistles, flour bombs, and stink bombs. They famously shouted “We’re not beautiful, we’re not ugly, we’re angry.” Most of the protesters were not angry at the contestants, rather they were angry at the ways in which these women were objectified and portrayed. They also had issues with statements made by the host, Bob Hope. Hope frequently made derogatory remarks towards women and referred to the competition as a cattle market. The 1970s also saw a resurgence in feminist groups. In 1975, The Times reported that there were more than 1,500 groups of women around the country meeting fairly regularly. Lastly, in 1979 Margaret Thatcher became the Prime Minister of Britain. Although Thatcher was not an active participant in the feminist movement, her appointment was considered a huge step for women. Overall it is important to note that women’s movements in Britain were grassroots movements. Because there weren’t many women in positions of power (even in the 1970s only 4.6% of the members of Parliament were female) any sort of push for change needed to come from below. But things are forced to change. As Fleming began to reach a broader audience, and his books began to spawn a multi-million dollar movie franchise, Fleming’s portrayal of women had to adapt. In the books, Bond eventually marries. His wife is a relatively strong woman, whose death provides a devastating blow to Bond. In fact, you could argue that it is one that he never fully recovers from. The movies also start to change. You can see this with characters like Moonraker‘s Holly Goodhead. Holly Goodhead is more than just a pretty face, as Bond himself points out. She’s a fully qualified NASA scientist, astronaut, and a CIA agent. I wouldn’t say that representations of women in the Bond films is perfect, it is still far from so, but I hoped that by showing my students Moonraker they would be able to remember at least a small portion of my lecture, as well as have a greater understanding of how much women had to fight to even get a character like Dr Goodhead on the silver screen. Interesting post! I’m curious why you choose to start your brief history with the 1800s when there’s so many fascinating things happening in between 1550 and 1800. Many pamphlets and tracts for the rights of women; legal battles for the right to property (see Lady Ann Clifford, for example); the ascent of the first Queen of England; Petitions to government (1649 Women’s Petition to Parliament), especially those done by the Levellers during the English Civil war (they a good example of early feminist movements in Britain!). 1) When I studied British history as an undergrad I only studied the 1770s onwards, meaning that my scope of knowledge generally doesn’t precede the Industrial Revolution. 2) More importantly, as a teacher you only have so much time to work with. Because Moonraker was made in the 1970s, I lesson planned backwards until I reached what I thought would be the time limit on my lecture. Good reasons (and in the case of #2, what I suspected). And as far as more organized feminist efforts, it makes a perfectly good starting point, I just have a lot of experience with British literature/history up to the Industrial Revolution. As an undergrad I spent my days buried in Early Modern and Restoration (Brit) literature, so had that background more or less ready to go.